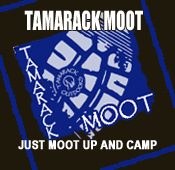 Tamarack Outdoors are based near Garstang, Lancashire. 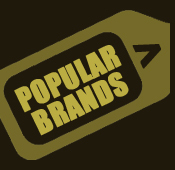 stores and offer as large a range as possible to our customers. through excellence in product quality and product knowledge. find many items in store that we haven't personally tested in the field. if we don't do it, it doesn't mean we can't get it. " 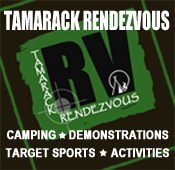 Tamarack Outdoors cater for the walker, camper, trekker, paddler, hunter, woodsman - and over the years we have kitted out many expeditions all over the world. We also offer an array of outdoor courses and mentoring programmes to accelerate the individuals’ outdoor learning, along with working with adult and youth groups. A family run business, the love of the outdoors rings true at Tamarack Outdoors with all staff members being outdoors people. Mike has been living and working outdoors all his life. He kicked off in the Scouts, then onto the Army Cadet Force, and was involved in the Celtic Survival School at the age of 12. He was a British Army sniper and physical training instructor, is a qualified Arborist with over 20 years working with trees, has worked for Lancashire County Council as a Countryside Ranger, is a Mastercraftsman drystone waller and has carried out many conservation tasks within Lancashire such as tree planting, wetland and habitat management and hedge laying. He has lived and worked with the Sami Reindeer herders of Northern Sweden and the Hadza Bushmen of Tanzania. He is an avid, camper, walker, snowshoer, dogsledder and environmentalist. Tony has been involved in the outdoors from a young age. A keen cyclist in his teenage years saw him out constantly on many trips, including a tour of the southern coast of England. Over 10 years Tony travelled over 50,000 miles on his bike and took trips to both Holland and Germany, plus a 3 week trip cycling from Portsmouth to Santander, Spain via the Pyrenees in a 1200 mile holiday. Work and family life took centre stage for a while until setting up the Tamarack partnership with Mike, Sally and Trudie. These days a little older (and a little heavier) the hobbies have moved on to walking and camping - and even the purchase of another bike, although the saddle is less comfortable than he remembers! Sally has always had a love of the outdoors. Out in all weather, Sally has kept her love for animals found in her childhood on the farm. She is patiently training her dogs, if you can train Springer Spaniels, with regular long walks in all weather. She has a passion for travelling and over the years has been to Tanzania, China, Peru, Japan, Egypt, Sweden and Thailand. Mike will tell you this is why all of his holidays have to be in the Lake District! Sally is able to test her clothing and equipment in all conditions and has come to realise (as much as it is against all she knows as a farmers daughter) that spending on quality items does pay in the long run. Trudie has always loved being outdoors, even if its just doing the gardening! As a child many hours were spent messing around in the local woods, a great many camping holidays taken and many miles were cycled, albeit not as many miles as Tony! Family and work put these on hold for a while, but now the children are bigger she is back to the camping, back in the saddle, and also walking many miles in the valleys and hills around the Lake District and Forest of Bowland - and thoroughly enjoying every minute! 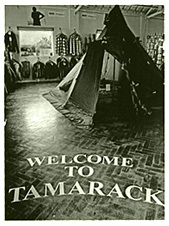 Tamarack Outdoors is committed to providing the best service to our customers through excellence in product quality and product knowledge. We are constantly trialling equipment and clothing on our many outings in the mountains, lakes, rivers and forests both in the UK and overseas. You won’t find many items in our store that we haven’t personally tested in the field first. "If you can't see it, it doesn't mean we don't do it, and if we don't do it, it doesn't mean we can't get it”. Live Life Outdoors is what we promote. We believe life outdoors is a partnership; it demands respect and protection of our outdoor places. As a group we are passionate to spread knowledge and respect for nature either through our courses or over a brew in the shop. Part of our training catalogue now includes a tailored programme dedicated to Scout Leaders who look to pass on campcraft skills to the next generation of Scouts. We live outdoors on this course with these motivated Leaders, sampling the mud, rain and sometimes sun. Getting involved in outdoor events or projects is an opportunity for us to donate time and knowledge. That might be Mike judging a walling competition or getting his hands dirty himself, such as the restoration of a vandalised stone wall on Beacon Fell locally to us. We're proud to have supported various charities over the years, ranging from equipment support for charity ascents of Kilimanjaro, Machu Picchu to Help for Heroes events. Doing our bit, in our way, is our opportunity to get out into the community and out into nature as a responsible company. 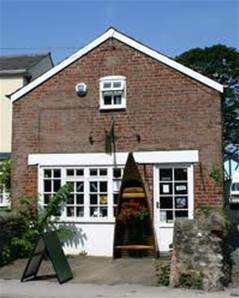 Tamarack was established in 2003, when we opened a modest little shop in Great Eccleston. After 3 years we'd filled the shop front and the loft space!! It was time for a move. 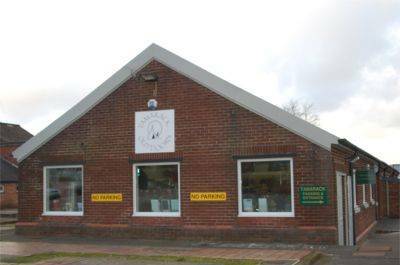 In 2007 we relocated a short distance to a new warehouse to support our website on the Creamery Industrial Estate near Garstang. Our commitment to quality products and service has guided our actions since. We were very proud in 2009 to have been recognised with the BIBA award for 'Independent Retailer Of The Year' by the North West Chamber Of Commerce. The annual TGO Awards celebrate products, people and services that contribute to our enjoyment of the outdoors. We were very proud in 2013 to have been shortlisted in the award for 'Independent Retailer Of The Year'. Autumn 2014 and we were honoured to be shortlisted again in the TGO Awards. Thanks to all the public votes that put us in the running for 'Independent Retailer Of The Year'. Thanks to all the outdoor enthusiasts who voted for us in 2015 for the TGO Awards. We were delighted to be shortlisted for the award of 'Online Retailer Of The Year'. In April 2016 we converted our warehouse space to a shop display area.